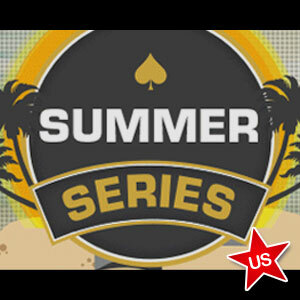 With its “Million Dollar Summer” promo already in full swing, Ultimate Poker has added a Summer Series of 11 tournaments that guarantee $100,000 in prize money. The Summer Series kicked off yesterday on July 4th at Ultimate Poker with a $100 no-limit Hold’em event that guaranteed a $5,000 prize pool. Tournaments will be hosted daily through July 14. All events begin at 7:35 pm and have buy-ins of either $50, $100 or $200. In addition to the combined guaranteed prize pool of $100,000 for all 11 events, another $7,700 will be given away in a leaderboard race. The top 100 point earners will all be winners. First place in the $7,700 Summer Series Leaderboard will also gain a free entry to the Red Rock Ultimate Poker Challenge held Sept. 6-8 that features a buy-in of $1,100 and a prize pool guarantee of $200,000. Players who finish 2 through 100 in the leaderboard competition will gain free entries in special freeroll tournaments. Also, the 11 tournament winners and the leaderboard winner can proudly wear a custom Ultimate Poker watch. Ultimate Poker is currently the only regulated online poker site up and running in Nevada. It launched on April 30 and celebrated its two-month anniversary last weekend. All eyes continue to be focused on Ultimate Poker’s progress and viability, with additional sites such as Caesars’ WSOP.com anticipating a launch in coming weeks. UP is expected to roll out new software once state gaming officials give their rubber-stamped approval. Its first-to-market launch was branded a success, despite some early issues that kept some Nevada residents and tourists from logging in. Ultimate Poker will also become a fixture in the New Jersey online poker market after it was announced earlier this week that a deal has been brokered with the Trump Taj Mahal that will allow parent company Ultimate Gaming to provide gaming software in the Garden State. 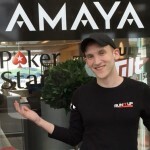 In the midst of its $1 million summer promo that began with a $50 bonus to all players who deposited $50 and played 100 cash game raked hands in the season’s first weekend, UP’s Summer Series of tournaments continues with the summer-themed celebration. Players located outside of Nevada but in the U.S. have other options available for playing online poker. Take a look at our list of U.S. friendly poker sites to find a poker room that meets your needs. Many have massive first-time deposit bonuses for those players who like to pad their bankrolls with free cash.